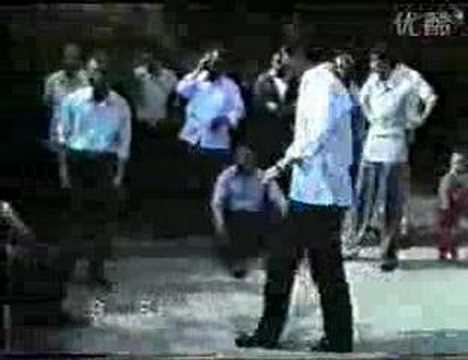 Many students of Taijiquan practice incorrectly - first learn the routine, and only after they are skilled at it they explore the principles; what they do not understand is that through this empty practice without principles their bodies already get used to the incorrect way of practice, stiff, inflexible, with physical strength. Once the students want to explore the principles, the way they move (with stiff and inflexible strength) already becomes habitual and the problems are very difficult to get rid of; and although they practice correctly for a long time later, Internal Strength (Nei Jin) is out of their grasp and there is no way that they can reach deep understanding of high skill levels. Note: The video is 4 minutes long, the last 2 minutes is repetitious.